Need a place to stay during the convention? We've got you covered! Just call one of the hotels below and mention you'd like to register under the special Ani-Jam rate. 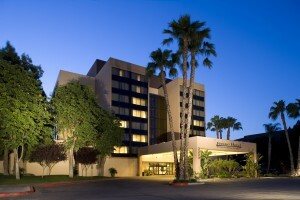 Previously known as the Holiday Inn-Downtown, the Fresno Inn-Downtown Convention Center has offered our attendees a special flat rate price of $89.00 per night. They are located 0.5 miles from convention center, can be contacted at (559) 233-6650 and are located at: 1055 Van Ness Ave. Fresno, CA 93721. America’s Best Value Inn-Downtown has offered our attendees a special rate of $59/$69 per night. They are located 0.8 miles from convention center, can be contacted at (559)233-4896 and are located at: 2425 Merced Street Fresno, CA 93721.